It’s now estimated that in the U.S. alone the massage therapy industry generates over $12 billion annually! Roughly 39.1 million adult Americans (18 percent of the total population) had a massage at least once in the previous year, according to the American Massage Therapy College. There are many benefits of regularly scheduled massages. It Is Relaxing – When you are tense and under stress, your body produces unhealthy levels of stress hormones which can contribute to weight gain, digestive issues, losing sleep and headaches. Help Lower Your Blood Pressure – Getting a massage regularly can reduce blood pressure levels. Some studies show consistent massage programs can reduce both systolic (upper number) and diastolic (lower number) blood pressure. Assist with poor posture – If you have poor posture, frequent massages might help you correct it. Massages can reinforce healthy and natural movements, which have been proven to help improve poor posture. Swedish massage is a gentle form of massage that uses long rubbing motions, kneading, circular motions and even vibration and tapping. Deep massage techniques use slower, harder strokes that focus on the deep layers of muscle and tissue to help with muscle damage from injuries or stress. Sports massage is similar to Swedish massage, however they are designed for athletes to help prevent or treat injuries. Trigger point massages focus on your tight and sore parts of your body that can form after injuries or overuse. Hot stone massage. Eases muscle stiffness, improves circulation and might even help your metabolism. Hot stone massages can enhance muscle relaxation by placing smooth, water-heated stones at key points on your body. Mother’s Day is Sunday May 13, 2018 and is widely celebrated as a special day to honor all mothers and motherhood. It’s your chance to honor the woman who raised, nurtured and made numerous sacrifices for you. Christie Adam is located in the heart of Great Falls, Virginia and is a premier hair salon and spa in Northern Virginia. Our team is devoted to providing total relaxation and contributing to the well-being for each spa visitor. Our goal is to leave each client feeling relaxed, stress free and refreshed. After breakfast with Mom, take some time to relax and reward her with one of these great Spa packages. Call (703) 430-4800 to book your appointment today. Which Hair Colors and Cuts Are Trending for 2018? After the beginning of the year, many people choose to change their hair. Whether it’s just to get a fresh start or to stick to a new year’s resolution, it’s important to know what’s in style right now. Because of that, we’ve compiled a list of a few of the trendiest cuts and colors for 2018 to help you choose your new hairdo. Softly Contrasting Roots: One of the most popular trends experts are already seeing is having brown or dark roots that fade into a lighter blonde color. This look is not only pretty, but it allows wearers to naturally grow out their darker roots with little maintenance. Bangs and Bobs: Bangs are definitely making a comeback, especially curtain bangs, which are a bit longer and are separated in the center. They’re often paired with chin-length hair cuts. There is so much that can be done with this style and 2018 is sure to see a wide variety of personalized looks. Auburn and Caramel: For those people who aren’t quite ready to take the plunge into a fully different hair color, these colors are for you. Auburn and caramel can be used in highlights, lowlights, or a full-head tint. These hair colors can be more natural than others, especially when placed to gently frame the face. A Mix of Natural and Fun: Sometimes people aren’t really sure what they want. They can go back and forth between staying natural and adding a pop of color. Well luckily, they can do both. Two-tone looks are definitely in style, featuring a natural color mixed with a fashion color to create a unique look. Long Pixies: While 2017 featured people shaving their heads, sporting buzz cuts, or showing off a short, choppy pixie cut, this year is expected to have a lot of long pixies. Long pixies, especially those longer with more layers on top, can be styled in various ways. Subtle Ombre: Long gone are the days of drastic ombre styles. Now, experts are seeing more subtle ombre. With a seamless transition, this style features a dark color on top with only a slightly lighter color on the bottom. So if you plan on being one of the 100 million Americans who visit salons every month, consider one of these hair colors or cuts. An experienced hairdresser will be able to tweak the style or color to fit your personal style, face shape, or skin tone. But regardless of what color or cut you choose, try something new with your hair this year. One of the nicest feelings in the world is going to the hair salon, getting a brand new wash, cut, color, style, or whatever you’re feeling like that day. That first selfie, just moments out of the door, is simply the best. It’s not uncommon to wish you had a professional stylist in your house to make it perfect daily. Ladies, on average, in a week, spend about three hours washing, blow-drying, and styling your hair. As much as we wish we had Lady Gaga’s team of stylists (and wardrobe, too, let’s be honest), most of the time we’re left to fend for ourselves. 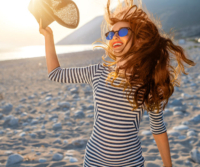 Professional pampering and hair styling are nice and all, but there are some super simple ways to keep your hair bright and shining every single day. Drier hair absorbs moisture better. After your shower, let your hair dry for a little bit, then apply your conditioner. Pay attention to your ends. Most of the damage to your hair happens between the middle and ends. Focus your conditioner there especially. You don’t need a heavy rinse. We recommend rinsing with cool water until you can just feel a little conditioner left over. Leave it in and let it soak throughout the day, we promise. While we’re here, don’t wash your hair so often. 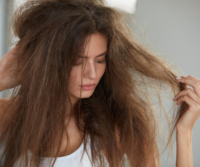 You don’t need to wash your hair more than three times a week. Overexposure to shampooey chemicals causes lackluster locks. Plus the natural oils your hair and scalp produce are good for you! Chill with the heat! Hot blowdryers, curling irons, flat irons, or any other manner of oppressive heating object you subject your hair to isn’t helping either. We vote air drying over everything, but if you must use drying/styling tools, use low heat settings. Honestly, if you’re curious about hair facts, fictions, and everything in between, visit your stylist. They know the ins and outs of hair styling and care. Start here for at home caring for that new cut. Smile and stay shining! Winter is a time for hot cocoa, comfy sweaters, and dry hair. While two of those things sound quite appealing, dry hair does not. 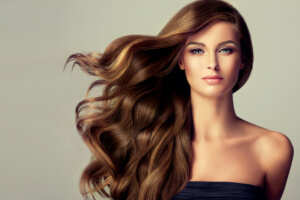 Hair maintenance is key during the winter months in order to keep your hair feeling and looking healthy and frizz-free. However, many people decide that Winter is the best time for them to have their hair looking on top of its game, which is why so many people invest in products like Remy Tape In Hair Extensions during the colder months. Whether you do your hair yourself or visit a salon on a regular basis, these winter hair care tips will help your hair thrive. Unfortunately, cold weather makes it difficult for your hair to get the amount of moisture it normally does. By switching to an oil-based moisturizer, you’ll be able to provide your hair with the extra moisture it often doesn’t get in the winter months. When you use an oil-based moisturizer, it will evaporate more slowly, which in turn will protect your hair. Another easy way to replenish moisture is to do weekly treatments. Whether they’re at home or at the salon, a moisturizing treatment can do wonders for your dry, brittle hair. Additionally, hydrating your hair overnight with an oil or serum will help your hair stay hydrated in the dry night air. Don’t you just hate when you pull on your favorite sweater, only to find your hair a mess of static-induced strands? 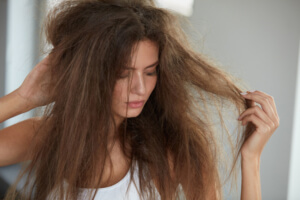 While the old dryer sheet trick may work, floating, fine strands of hair are a key sign of dryness. By simply swapping the dryer sheet for a leave-in conditioner, you’ll be giving your hair a healthier, more permanent solution to dryness. Since your hair is already suffering from dryness, it may be a good idea to put a hold on the heat tools. The dryness of your hair plus the heat from your styling tools will result in serious breakage. If you must use heat, you should ensure you’re using sufficient heat protection along with a good leave-in conditioner. But if you do decide to forego the heat, try experimenting with braids, buns, and ponytails to still have some flair to your hairstyle. Even though applying heat to your hair may not be the best idea during the winter, you also shouldn’t be going out in the cold with damp hair. Dashing through the snow with wet hair will cause it to expand, break, and your hair color will fade. 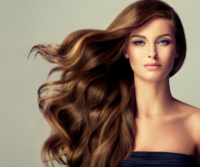 In fact, your hair can expand up to 30% more than it’s original length when it’s wet. Because of this, you should ensure you give your hair enough time to dry before leaving the house. Beanies may be your best friend during the cold months, but they are your hair’s worst nightmare. Sad to say, but wool. cotton, and other coarse fabrics can cause breakage. In order to protect your hair, you should either line your hats with silk or satin or even wrap your hair in a silk scarf prior to hat placement. Not only will this protect your hair, but it will help avoid the dreaded “hat hair”. Whether you spend hours on your hair or just a few minutes, daily hair care is key to keeping your hair healthy and strong. A quick trip to the salon will provide you will the tools and products you need to keep your hair looking as beautiful as always this winter. 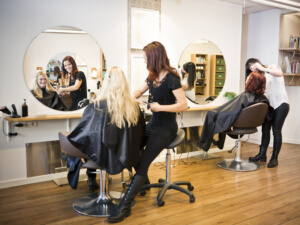 At Christie Adam Salon & Spa, we understand that our business couldn’t survive without our team of professionals. We are excited to celebrate their milestones with our salon. This month we are celebrating Nasrin’s one-year anniversary with Christie Adam! Nasrin Aranee graduated from Yvonne De Vilar School of Scientific Skin Care in Vienna, Virginia. Following graduation, she worked with Salon Nordine & Day Spa for 13 years & La Shoppe for 9 years before joining our team. Nasrin truly enjoys working in the beauty industry and her enthusiasm is apparent in every service she provides. Nasrin’s specialties include facials, body treatments, body waxing, facial waxing, threading and makeup. She excels in everything she does. Her top services include eyebrow and lash tinting and anti-aging facials. Our salon is dedicated to providing each and every visitor with a unique and personalized experience. Our team of spa and skin care professionals adds their own touch to the services they provide. We take special care to ensure that every customer leaves feeling fully relaxed, rejuvenated and confident in her or his look. 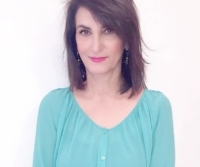 Nasrin is a skin care specialist, able to provide a wide variety of skin care services. Her anti-aging facials are specially designed to restore skin firmness and reduce the appearance of lines and wrinkles. 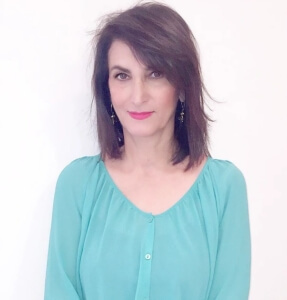 With regular visits, Nasrin helps visitors to our salon achieve and maintain a youthful appearance. This increases confidence and improves self-esteem. For best results, anti-aging facials should be given at least once a month. Christie Adam Salon & Spa provides a variety of skin care services and skin care products. Visitors to our salon can rest assured that they will be treated with the utmost care. Our experienced skin care experts take the time necessary to address concerns and explain your treatment. They are able to recommend the best skin care treatments and products based on each client’s individual needs. Come and see why Christie Adam Salon & Spa is one of Northern Virginia’s premier salons. Please contact us to set up a skin care appointment with Nasrin. Don’t ever let anyone tell you that you can’t look a certain way. It’s your body, your hair, your style, your clothes, and your look — you can do whatever you want. You probably still want to look presentable, however, like when you see your family or potential employers, so maybe hold back on those face tattoos. But if you have any other, non-face tattoo ideas, you should pretty much go for it. Reinventing yourself via your image is not only easy to do, it’s extremely fun to do. After all, if something just isn’t working for you, you can simply go back to the fashion drawing board and try again. For women, and extremely fashion forward men, who are ready for a style change, here are a few creative ways to reinvent your look for the fall. Just because you were born with a certain hair color doesn’t mean you have to stick with that color your entire life. As long as you have a trusted hair salon with a wide variety of coloring options, you can completely change your look in a single appointment. Just have fun with it. Try as many colors as you want until you find one that you fall in love with. Again, it’s not permanent, so whatever color you choose you can easily go back after a few weeks. While ombres, metallic pastels, and platinum were everywhere in 2016, this fall more people are opting for softer tones. Think strawberry blonde, honey blonde, and highlights. If you’re feeling bold, rose gold is another on trend option. A lot of people want to change their hairstyle but they don’t want to cut off more than an inch or two. Understandable. Changing your part is a great way to vary your hairstyle without sacrificing any length. And unlike choosing a new color, changing your part doesn’t require a huge commitment. Luckily, you can simply part your hair in a different way every morning or purchase some haircutting tape and use it secure your hair in place. For some reason, many women have accepted the myth that only a select few people can handle red lipstick. Well, thank Kylie, but women everywhere are waking up to the fact that you aren’t limited to one or two shades of lipstick. That’s just not the case in Fall 2017. Remember: bold red lipstick can look great on anyone if they have the confidence to pull it off. If you’re feeling hesitant, just repeat these simple words: Red lipstick is bold, and so am I! 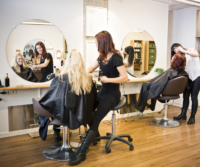 Every month, over 100 million U.S. citizens visit salons for coloring, style tips, or high quality products. If you are ready to change your look and have some fun in the process, contact coloring stylists near you. Looking for a style upgrade and hair salon in McLean, VA? Contact Christie-Adam Hair Salon today for your next appointment. As much as we love our hair, it sure can be high maintenance. Consider this: on average women spend about three hours a week just washing, blow-drying, and styling their hair. Just think of how all that time can add up! Fortunately, it’s possible to have beautiful, luscious hair without having to spend hours on hair maintenance. Here are some of our favorite tricks that could help you get a great head of hair with little to no time spend styling it. We could say that the best way to save time is to not blow dry your hair every time you wash it, but this is very unrealistic for some people. Instead, wait a couple minutes after you hop out of the shower to pull out your blow dryer. This is because dripping wet hair takes longer to dry, and your hair is more prone to breakage when it is saturated with water. Going to the salon and getting a fresh new cut and color can be therapeutic, but it does require a lot of maintenance. You don’t want to have to go to the salon every month or so to color over regrowth, so it’s always a good idea to choose a hair coloring technique that can grow out easily but still maintain its look. Our favorite is balayage, as it grows out beautifully without the need to touch it up every month. Using too many hair styling products can actually cause your hair to look dull, limp, and lifeless. To get the gunk out of your hair, use a clarifying shampoo to really strip your scalp clean and then only use one or two specific hair products. Not only will they work more effectively this way, you won’t have to worry about that pesky buildup coming again from time to time. There are plenty of quick hair styling tips that can make your hair look gorgeous in less than five minutes. We have some more ideas to share, so keep a lookout for our next blog!